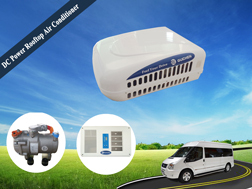 With 12KW cooling capacity, GC-8C rooftop A/C units is ideal for 6-7 meters minibuses and vans with 9-28 seats, and the variable air flow adjustment ensures a pleasant interior climate, and the cooling air can be distributed through center or side of the air ducts, hence, GC-8C air conditioner equipment is very suitable for people transportation in mini bus, van, commercial van, and medium-size bus applications. 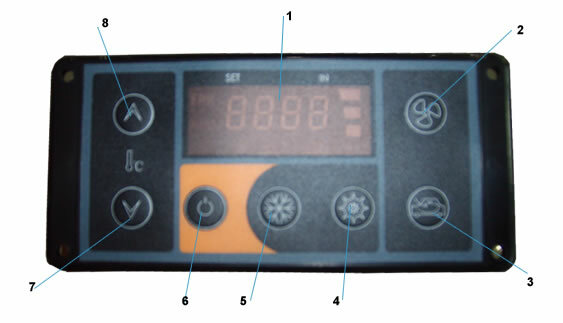 GC-8C units is driven by vehicle engine, therefore, if you need 12V/24 DC powered van air conditioner when the vehicle engine is idling, Please clicked the bold and blue fonts. 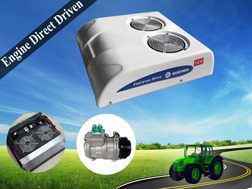 GC-8C rooftop series unit is designed for Ford, Renault, VW, IVECO commercial vehicle. More cooling capacity, more cooling air and low noise. 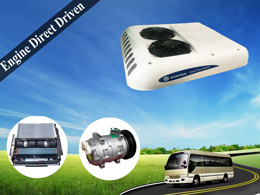 Significant Advantages of GC-8C Minibus / Van Air Conditioning Unit. 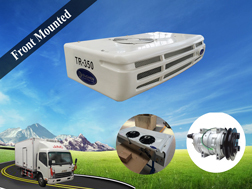 ● Rooftop mounted minibus / van AC with integrated structure. ● Quick and easy to install. ● Low operating costs, and low maintenance. ● Be excellent for or initial and retrofitted equipment. e.g. conversion van air condition. 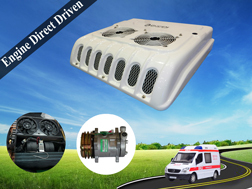 ● The A/C system are simple to operate and provide high cooling capacity at low noise levels. 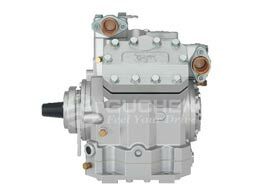 ● R134a refrigerant and choice of original Valeo TM-21 compressor up to 215cc to maximum cooling. 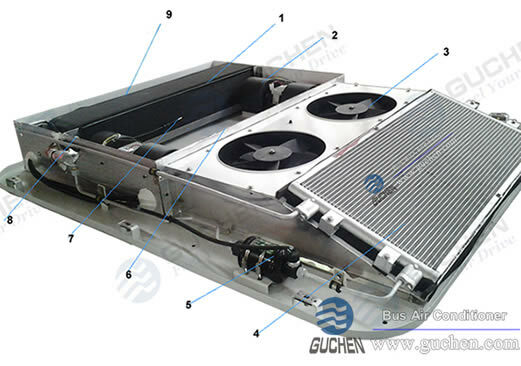 ● Adopted a couple of 3-speed centrifugal evaporator blow and 2 axial condenser fans. ● Condenser coil adopts all-aluminium tube structure, also called Micro-channel heating exchange, increased 30% heat exchange efficiency, low weight, and less refrigerant charge. ● SMC housing with good heating insulation and anti-aging properties. 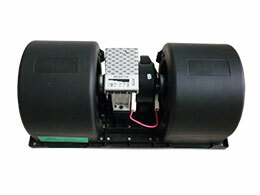 ● Independent parallel control system, reliability and durability. 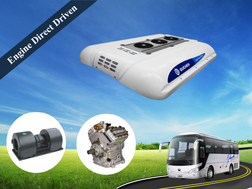 ● Space saving, low power consumption and superiority in cost-effectiveness. 1.Only use the exact refrigerant specified by the compressor manufacturer. 2.Unless there are a blown or ruptured refrigerant hose, may not need to add oil. 3.Due to the filter-drier may include liquid refrigerant, please slowly screw the fitting cap and avoid contact with exposed skin or eyes. 4. If you need to charge the refrigerant, please contact the professionals trained maintainer, because the refrigerant contained in the air conditioning system will cause frostbite severe burns or blindness when contact with skin and eyes. 5. Please make sure turn off the power, when you require open the housing to check the internal parts of the air conditioning kits, in order to avoid unannounced starting of the evaporator and condenser fans. 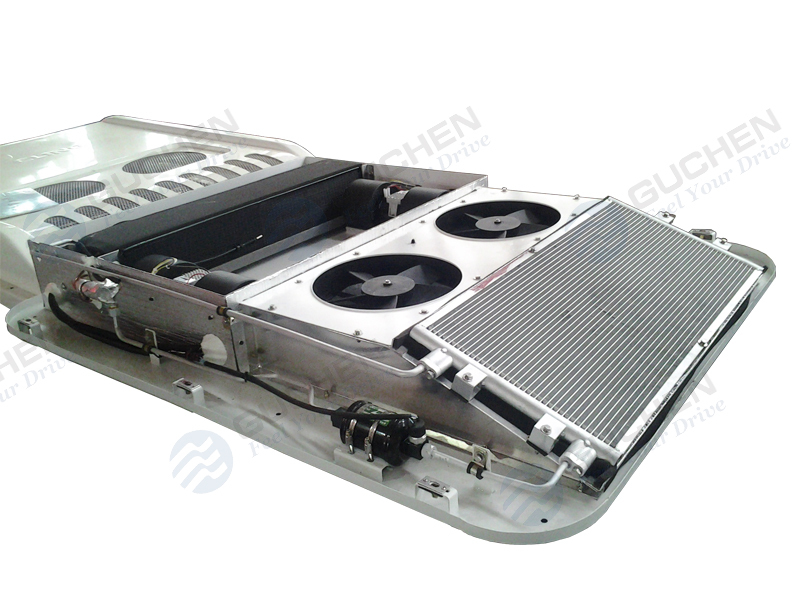 At Guchen, we develop our minibus A/C system with the goal of providing a comfortable climate for bus passengers, we are always looking for the best air conditioner concepts that provide the superior HVAC system with great performance at the best possible valve. 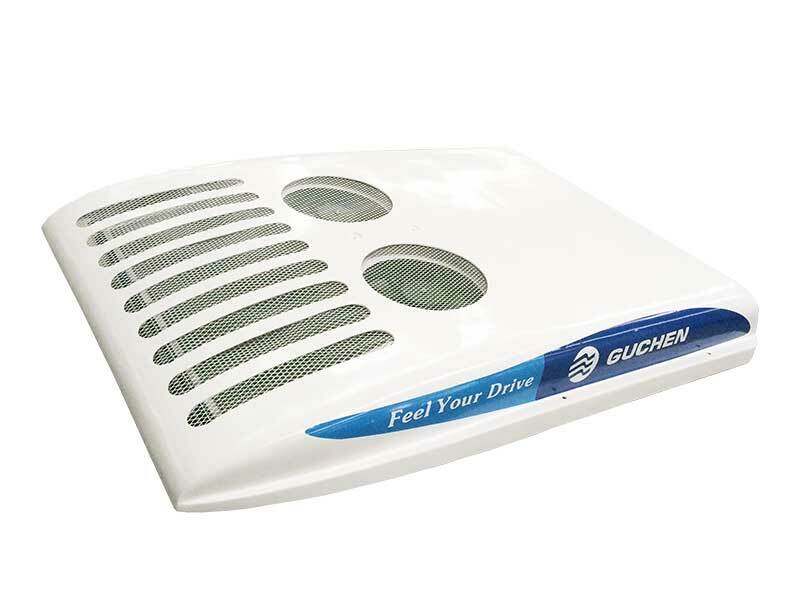 What’s more, Guchen makes every effort to support training service and technical support for our customer to perform any type of installation and maintenance the A/C with the quality standard. 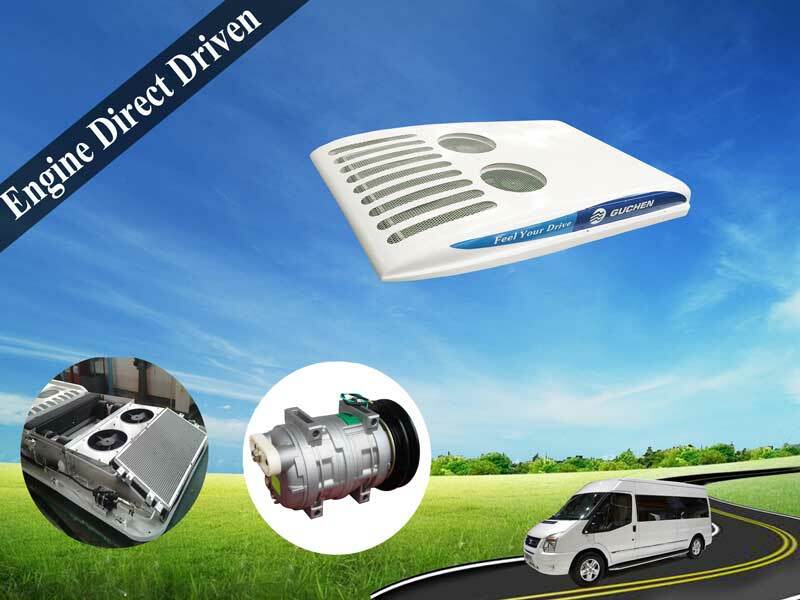 Thank you for choosing Guchen mini bus / van air conditioning equipment, if you have any questions or concerns, please contact us by Email, Phone or online customer service.